The same language was in place for WSS/MOSS. 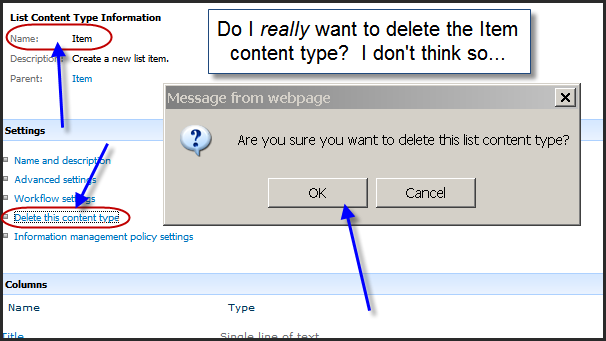 Just change the word “delete” to “remove” and it will just plain make more sense. 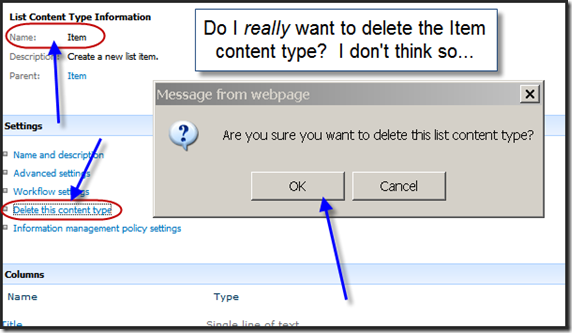 This entry was posted in SharePoint and tagged Minor Annoyances on June 16, 2010 by Paul Galvin.